Distributors are agents that buy inventories in bulk from service providers such as hotels and airline companies. They buy it at low prices from companies and then sell it to travel agents at prices which are less than market price. Prices and convenience offered by Distributors to travel agencies and travelers are much better as compared with physical shops. Travel Technology solution allows distributors to target wide audience and increase their sales. Better Prices Control & More Availability: B2B Travel Portal Software allows Distributors to offer better prices to travel agents which increase their revenue. Also, best seats and hotel rooms are offered to travel agents. With Travel Portal Software travel agents can have better availability and best rates for flight seats and hotels room offers to travelers at discounted prices. This is the primary benefit that Distributors get from travel portal software. Also Travel Agents need not to visit multiple service providers to purchase inventories. Real-Time Updates: It sends real time notifications to travelers, travel agents and Distributors. As soon as booking is done inventory is updated in Distributors’ section and that particular inventory is freeze. Also, it provides Distributors the data about which inventory is sold by which travel agent, how many inventories are sold and left. Distributors can see real-time inventory status. 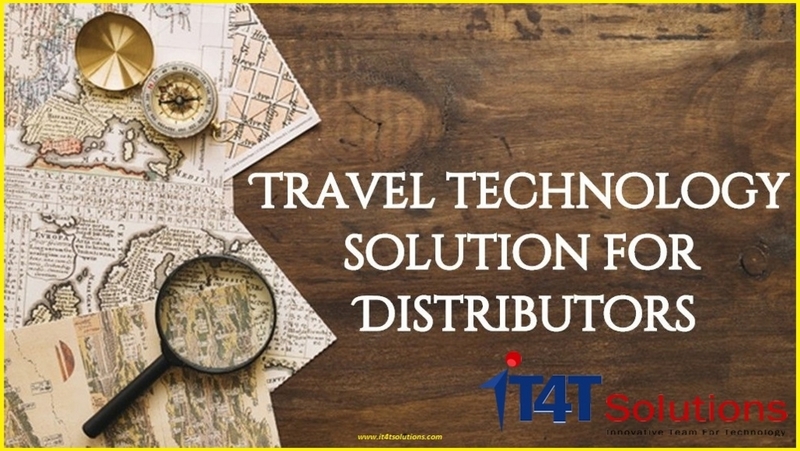 Distributors should approach best Travel Technology Company for development of travel technology solution for their business. it4tsolutions is using Hatena Blog. Would you like to try it too?